Chinee Orchestra FE, the first and only complete solution for getting a Chinese orchestra arrangement done. 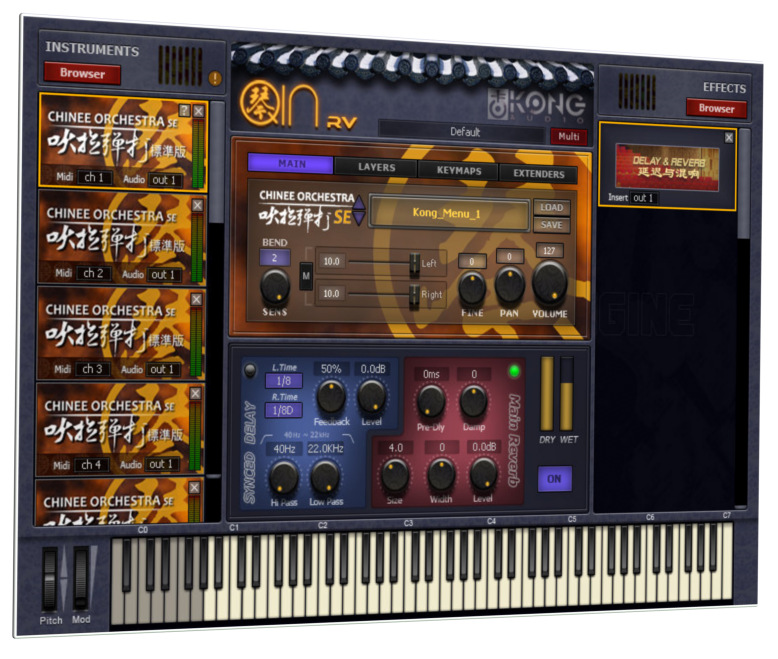 Powered by the brand-new QIN RV engine, Chinee Orchestra sporting a dynamic range of inspiring sound palette, adding brilliance into all sorts of music creations: be it soundtracks, film/TV/game scores, pop music, commercials or the live gigs. It is designed to meet the needs of Chinese professional composers, and it is evidenced by its wide use n all walks of the current Chinese professional productions.